This album is Superior!!!!!! If you don't know then wake up. The much anticipated (and delayed) re-release on Live Up Records is finally here. 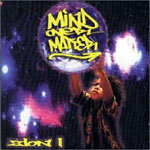 Zion on vocals with guests ranging from Planet Asia, Roscoe, Grouch and others. Amp Live with stellar production.